All Eagle Valley Library District locations will be closed on Sunday, April 21. Regular library hours will resume Monday, April 22. 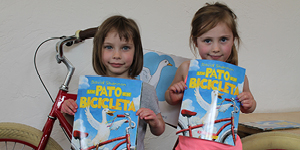 4-Year-Olds Get A Free Book! 2019 Books in Bloom Tickets On Sale! Automatic Renewals start April 1st! The Eagle Valley Library District believes in an inspired, informed, and inclusive community.